1-The Bible says that the universe is only 6000 years old. That means that we today shouldn’t be able to see any stars that are further away than than 6000 light years because their light hasn’t reached us yet! Thus the night sky would be very dark. Even the Milky Way would be invisible because 99% of the stars in the Milky Way are farther away than 6000 light years! Adam couldn’t see any stars at all until he was 6 years old when they started popping out one at a time! Christian astronomers are “Jeckle and Hyde” cases because during the day the swear that the universe is only 6000 years old, but they spend the night looking at photons that have been travelling to us for billions of years! More coming in my next post! Excelsior, you’re probably aware that Ken Ham et al claims that the speed of light was much faster back then (messes fatally with E=MC2), or, that God created the photons en-route (and intentionally deceived us). Fundies hate the axiom of uniformitarianism, but, without it, logic, science and evidence would be just white noise. In support though, where I put my keys isn’t the same place where I find them. 1-Fake Fossils. Astronomers, Archaeologists and Historians know that the age of the Earth is 4.6 billion years old. So they aren’t surprised to find fossils that are billions of years old. So how do the Fundies fill the gap? They say that God (the Great Deceiver) made the false fossils just recently to test the fidelity of his worshippers! So you see, since God is a magician, he can always win an argument! The universe isn’t 6000 years old, it was created just yesterday! It was not created new, everything was created old, so it looked like it’s ancient! Even you were created yesterday, with a false memory, where you think you have been alive for many years! “God”, The Great Deceiver, just turned turned us on yesterday, just like you turn on a video-game! If, as the Fundies say, “God is omnipotent”, then this could be true! And that, my friends, is the ultimate religion of the Fundies! Now you see why Fundies should be locked up in the loony bin! Excelsior, I believe that’s also called Last Thursdayism, but, the conjecture is the same. It seems to be a form of nihilism. Fundies can’t tell the difference between possibility and probability, or, conjecture and evidence. It it were only one fundie they would be called insane, but, when it’s millions of them it’s called religion. The only difference between a cult and a religion is that a religion has an army. We, of course, have an armada, so qualify as a religion. While I don’t mean to challenge the prophet and the prophecy, is it possible that the original meaning of Spaghetti in the “Flying Spaghetti Monster” was Nuclear Pasta? So instead of of the FSM going into meltdown, it would be boildown. Brother Patricius, is is possibly the other way round, that nuclear should really have been called spaghettous, or something? Anything is possible, but how likely is it? Given that all the heavier atoms in my body come from a supernova explosion that also created nuclear pasta, it should be fairly obvious that I’ve been touched by His Noodly Appendage. At the time the prophecy came, maybe the notion of nuclear pasta was unfathomable. Brother, I believe that elements such as iridium and pestonium are ‘foreign’, but, I don’t think that all of our heavier atoms came from supernovae. I believe that Earth acts as a breeder reactor, explaining traces of naturally occurring plutonium. Excelsior will know. Matter is built from atoms. Atoms are built from electrons, protons and neutrons etc. These fundamental particles are in turn made from leptons and quarks. And these in turn, are just different manifestations of the ultimate particle the “String!” This is the cutting edge of modern physics called “The String Theory”. 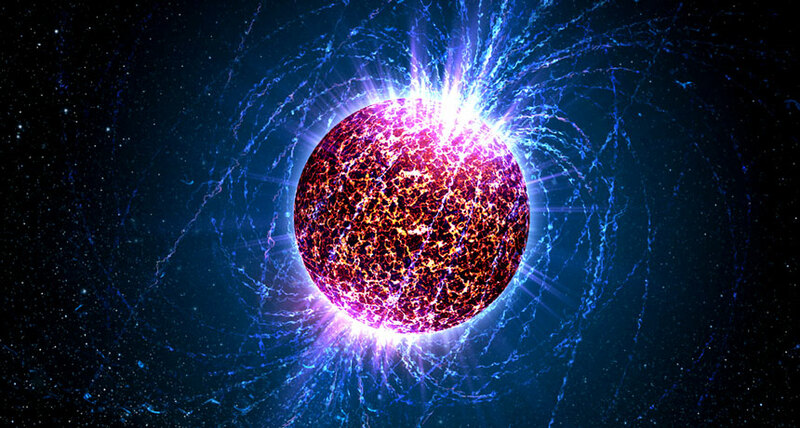 Everything in the universe is made from “Strings”. These “Strings” are twisted about in 11 dimensions in which they vibrate. This is not a joke. Obviously the sages who discovered all this made one important mistake. They shouldn’t be called “Strings”, they should be called “Noodles!” This proves that the whole universe is based on the FSM! Without the FSM there could be no universe! RAmen! Excelsior, I believe that leptons come in ‘flavours’, such as pesto, and that quark will become Parmesan if left undisturbed. Everyone knows that noodles can be of any shape or length, even infinite. Don’t forget the Möbius lasagne. 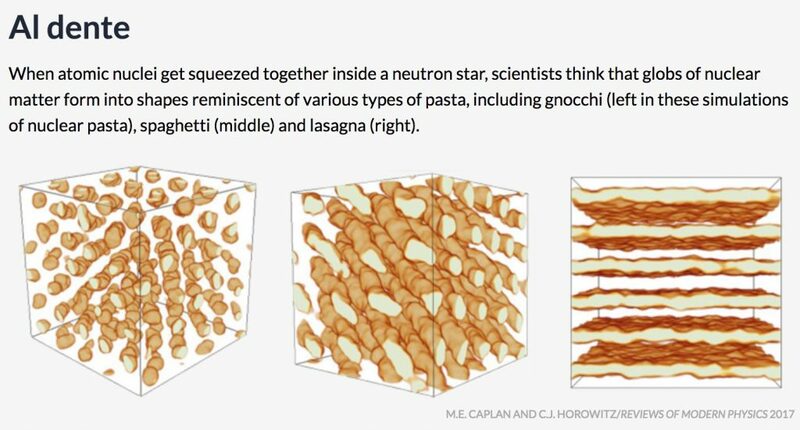 Can all be combined as a Tasty Unified Noodle Theory? We seem to be having a really intelligent discussian. Even all those spamming trolls are tongue-tied! Yes, leptons and quarks each comes in 6 flavors. They have all given them the wrong names and we should rename them with names like “parmesan”, etc. Cosmology is very intriguing. Besides the ordinary matter we are familiar with, then there is “dark matter”, “anti matter’, “dark energy”, etc. Ordinary (baryon) matter is very scarce and accounts for only about about 5% of the Total matter in the universe! Fundies say that all the science we know can be found in the Bible! They don’t seem to realize that the difference between science and religion is that God-given “science” found in the Bible is against change, whereas true science discovered by man is always in a state of change as the understanding of nature improves. For instance, the Bible says that the Earth is flat with a ceiling called a dome where the sun, moon, and stars are attached. Then it was discovered that the Earth is round. Next it was thought that the Earth was the center of the universe. Then the sun was the center. Finally Bruno said, “There is no center of the universe, each star is a sun with it’s own planetary system!” After 4 Centuries this is still the definition of the universe we accept today! The exoplanets Bruno hypothesized 4 Centuries ago have just recently been discovered. Bruno should be awarded a Nobel Prize! But God’s Church burned him at the stake! Pastafarianism is different. There is no contradiction between Pastafarianism and science. The FSM and scientists go hand in hand! Excelsior, I think that Bruno was in fact grilled (broiled, to Americans) by the Pope. I believe his famous last words were ‘Turn me over, I’m done on this side’, hence, he is the patron saint of BBQs. Poor chap. Let’s hope he also didn’t get a Pope’s Pear (Google image). Popes also have the peculiar habit of exhuming their predecessors, putting the corpse on trial for heresy and then burning it at the stake. I put Dark Matter in my home brewed beer.